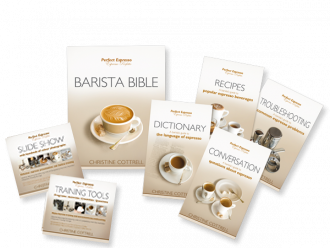 Save time and energy – in the planning, delivery and assessment of your barista training – with this comprehensive set of books and CDs. 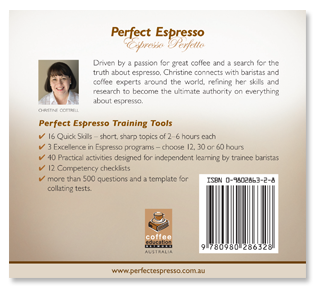 art of perfect espresso to trainee baristas around the world. 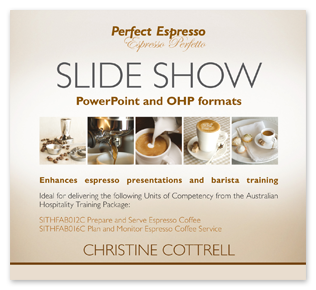 This is why we have created a comprehensive Barista Training Pack with flexibility for use in cafes and restaurants as well as coffee schools and barista schools. Terms and conditions apply to the use of this Training Pack. Please CONTACT US for information about Trainee Licences required for using the CDs in this pack. Enhance the walls of your café or training room with these attractive and informative wall charts. 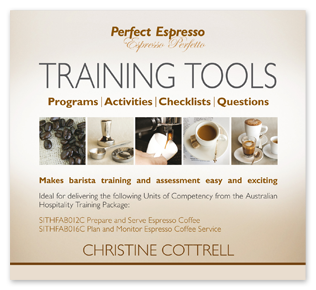 Turn your barista training into fun with this box of practical activities and ideas. 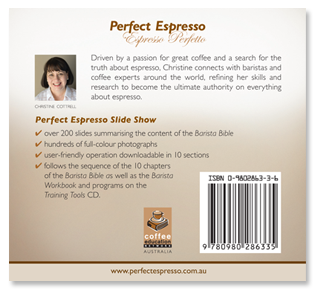 Copyright 2019 © Coffee Education Network Pty Ltd, All Rights Reserved.